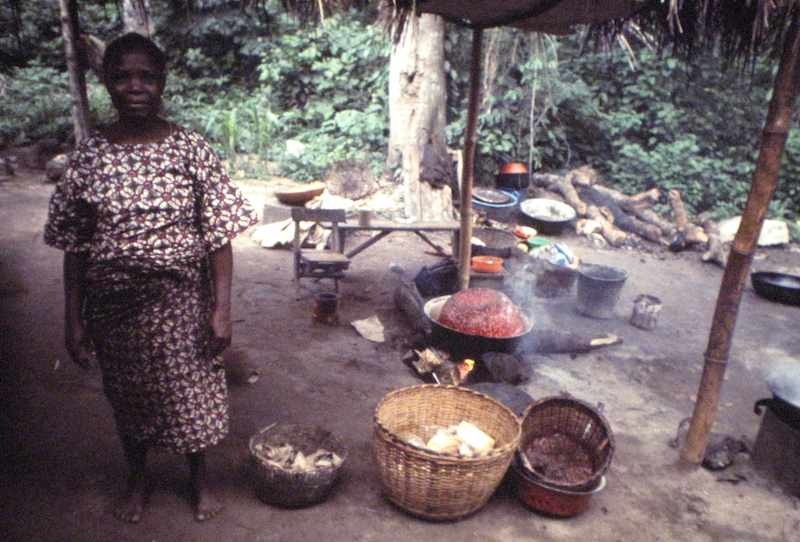 Cook at an outdoor cafe at Ile-Ife University, Nigeria, 1976. Dad (who took this picture) would walk to work each day on paths past this cafe. Read more details and see a photo of kids at the cafe.